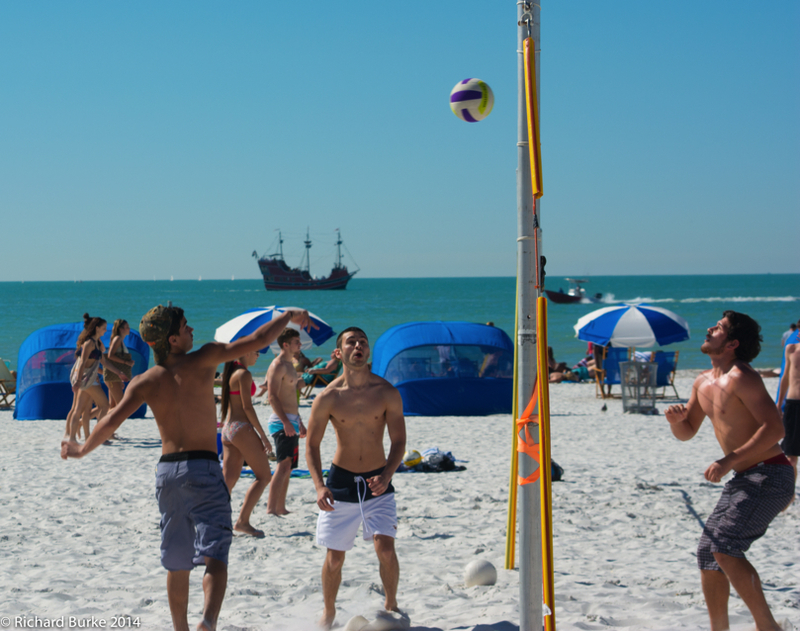 In the last few weeks I have posted some images of young fit women playing volley ball in Clearwater Beach Florida. OK,so to be fair, here are some guys playing volleyball. I was sitting on the beach with my telephoto zoom lens and saw this toddler running towards the waves by herself. Where are her handlers I thought. A young runner ran in front of her and she turned and ran away from the water. 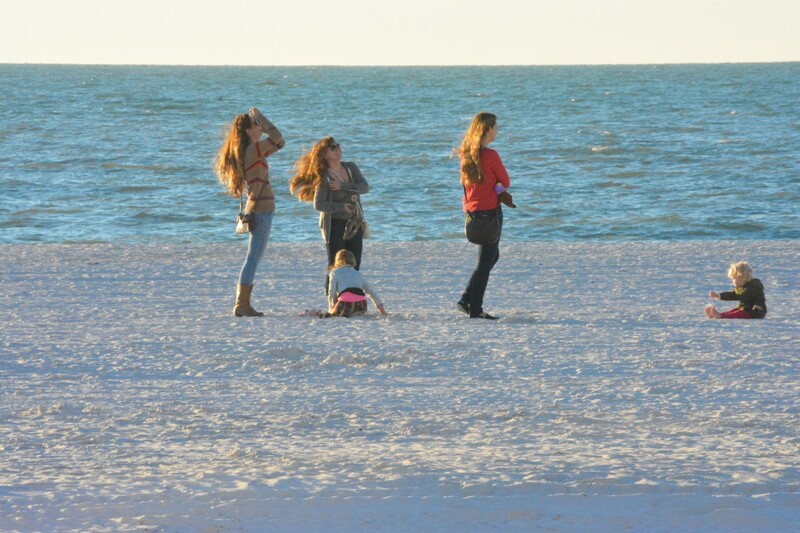 She sat down as I zoomed out and saw this group of young ladies paying absolutely no attention to her. The little girl sat and played in the sand by herself. Well who am I to judge, maybe she wanted it that way. I assumed one of the young ladies was her mother but then I moved on. 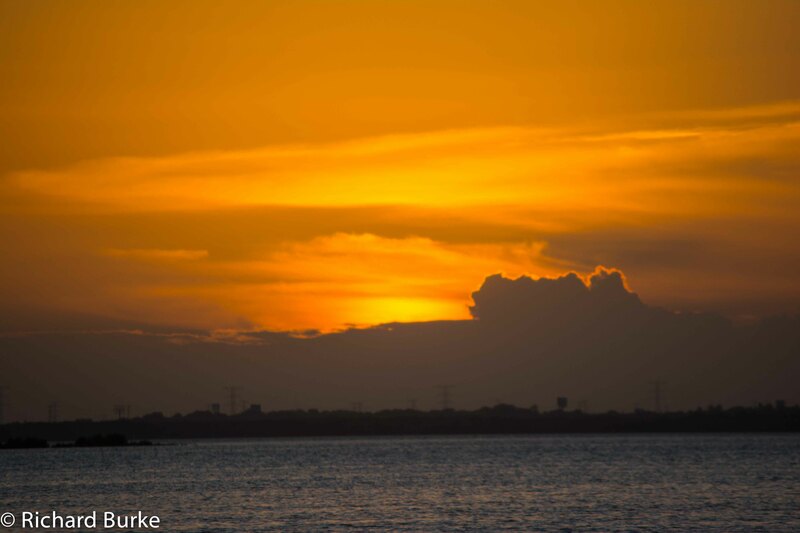 When we got back from Cancun in December, I published a few sunset pictures. This one never made the cut. I had uploaded the image but never published it. 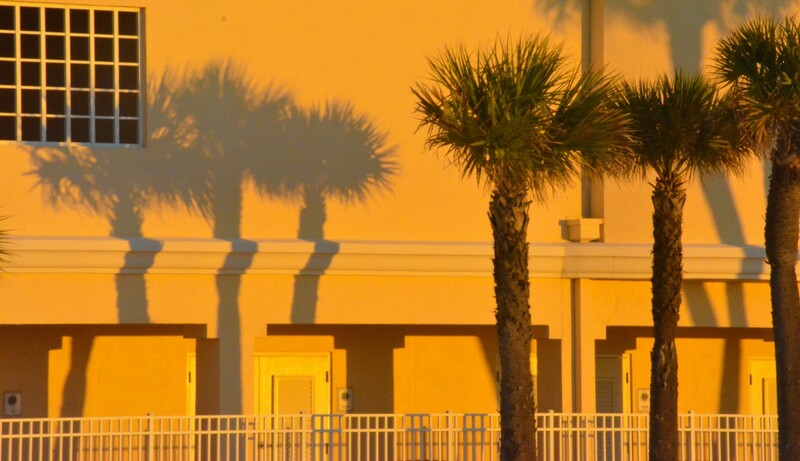 Last night was a beautiful night in Clearwater, but the sunset was lame. I waited and waited but it just sank, no clouds or haze means a lame sunset. I could have told you this one was from last night, but it was actually the reject from Cancun…sigh, truth is hard. 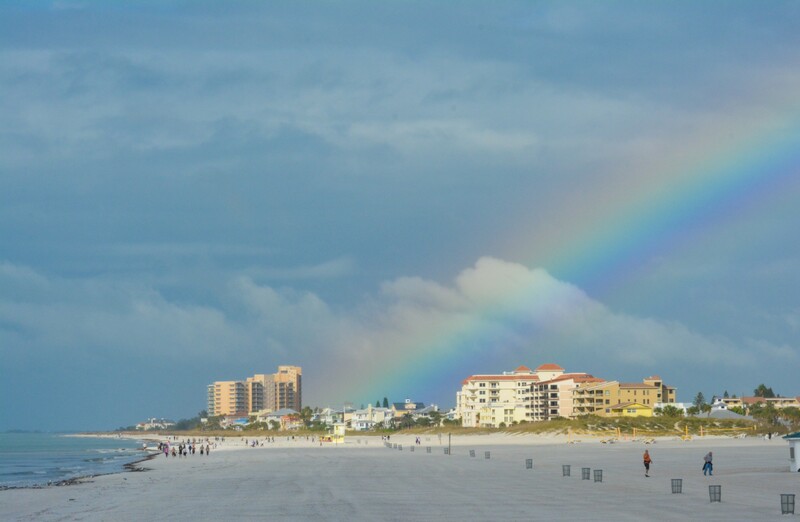 A beauty of a rainbow over North Clearwater Beach. Unfortunately no pot of gold except for the beauty of nature. Life on the beach. Bikinis, kids, waves and a whole lot of image manipulation.